Have you ever seen a more perfect shirt dress? 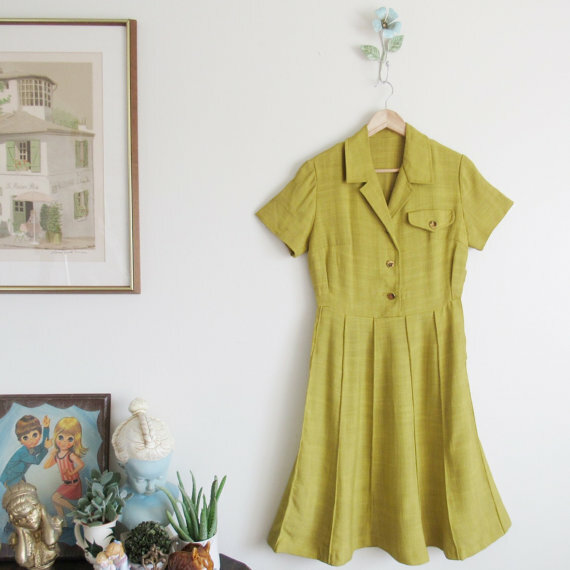 This chartreuse vintage dress from Loud Mouth Market is pure perfection. 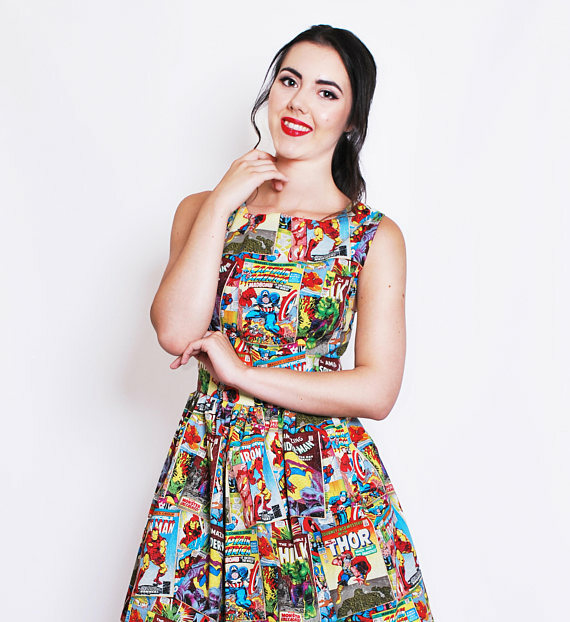 This comic book dress from Cyanide Kiss is absolutely darling. 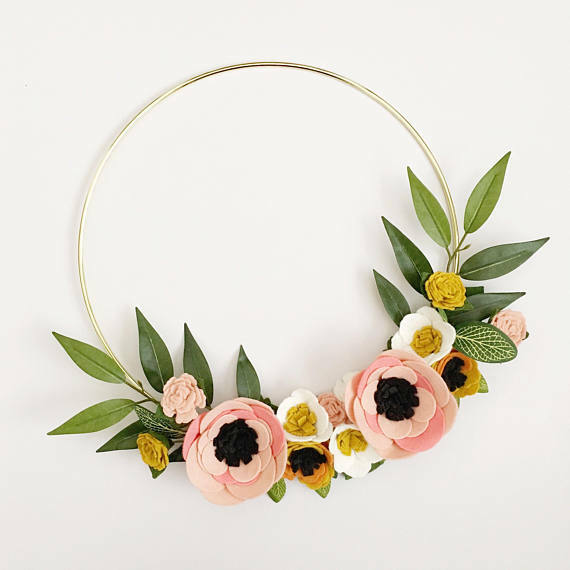 I cannot get over how gorgeous this floral wreath by Alison Michel is. I want to decorate my apartment with a million of these. 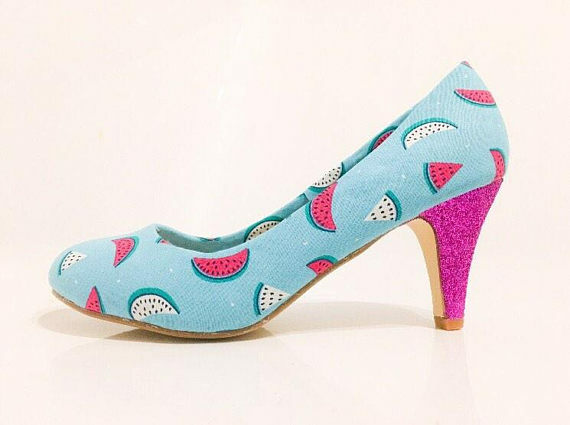 I got a watermelon dress recently, so I'm pretty positive that I need these cute watermelon heels from Heilan Shoo to go with it. 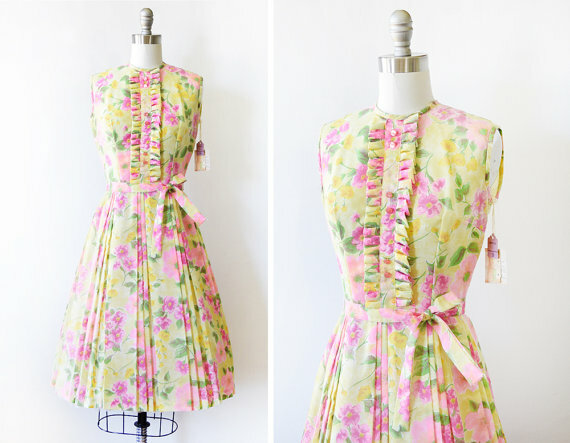 Don't mind me over here crying because this gorgeous '60s dress from Rust Belt Threads isn't my size. This vintage sauce pan from Wise Apple is a must have for my kitchen. 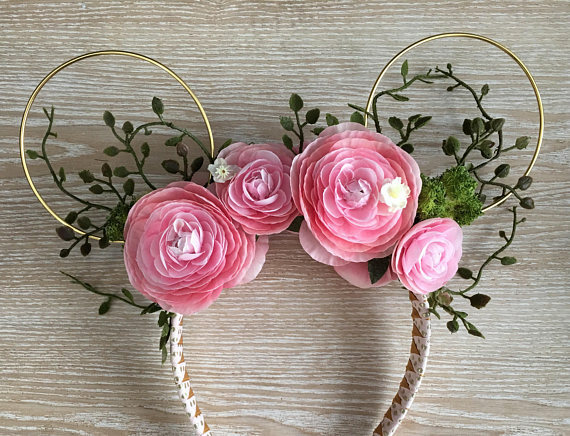 Now that I've been going to Disneyland more often, I'm in the market for more ears. I'm particularly drawn to pretty floral ones, and this pair from Posh Park Creative is beautiful. 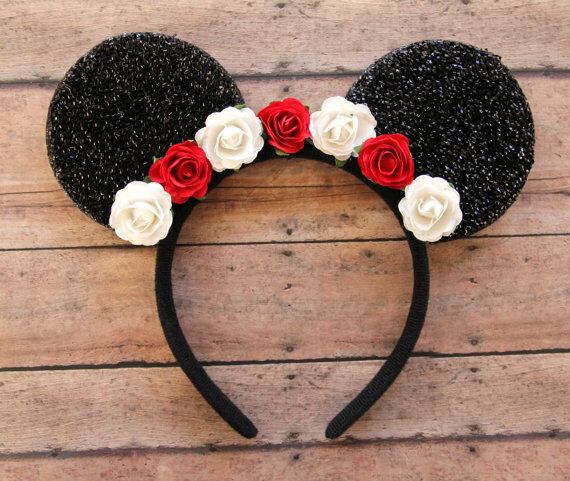 On that note, this floral Mickey pair from Ulous looks like they would go with any outfit I wear to the parks. 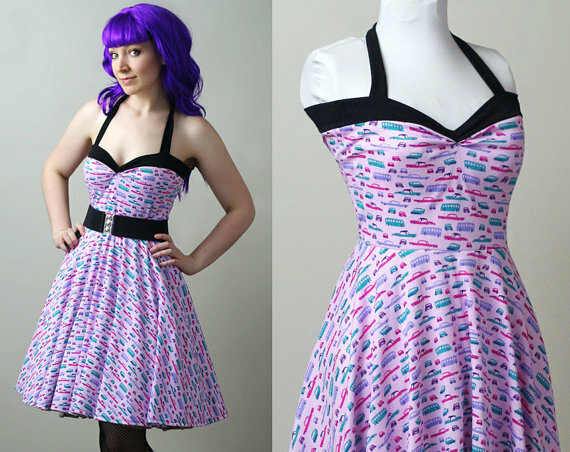 This car print retro dress from Smarmy Clothes is so fun and cute. What a fun collection! How great are those watermelon heels and that vintage saucepan!? 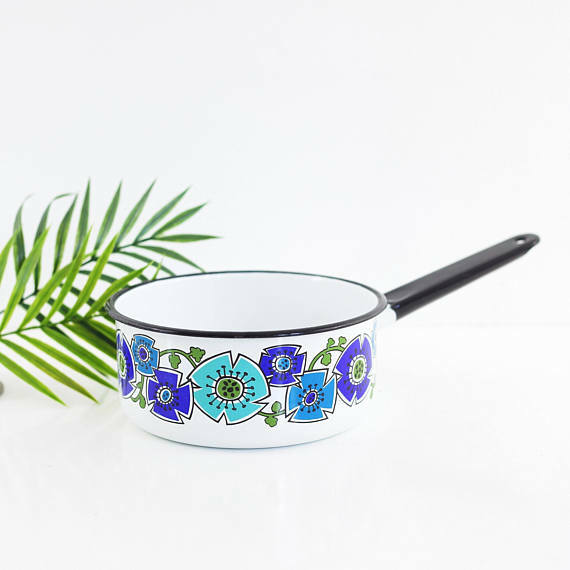 Thanks so much for including my sauce pan in this colorful and oh-so-fabulous collection! 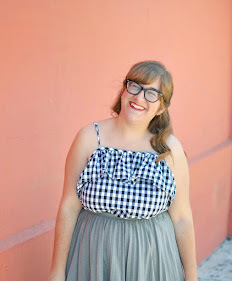 I, too, am shedding some tears over the size of that dress from Rust Belt Threads - it's SOOO cute! SO many pretty things! Sigh. I want them all!